Honda’s ST Series arrived in 1969 and the first and original generation’s production continued until 1981. 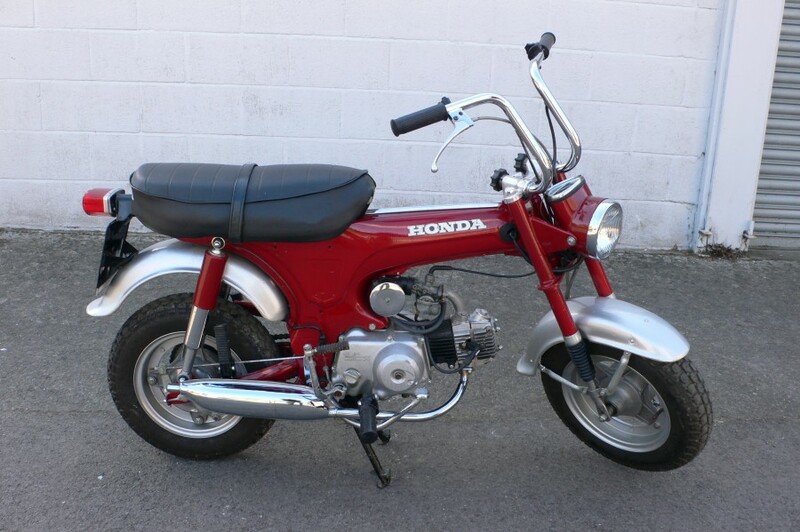 Officially, it was classed as a Minibike and in some countries, was for off road use only, but luckily in the UK, they are able to freely take to the road, offering its owner a stylish, retro and importantly economical ride. This early example has been in dry storage since 1976 and remains in excellent condition. It was recently presented for a new MOT test certificate and successfully passed; however, the new custodian should recommission the machine prior to use. The very smart Honda has recently been issued with a new V5C registration certificate (supplied) with the registration number BGU 819G.